Have you noticed any tingling, burning, or loss of sensation in your feet? If so, you might be experiencing peripheral neuropathy. Peripheral neuropathy is caused by damaged peripheral nerves. In the case of peripheral neuropathy of the feet, the faulty nerves fail to properly communicate stimuli from the feet to the brain, resulting in a loss of sensations. In this blog, we’ll talk about how to avoid, treat, live with peripheral neuropathy. That being said, the most common cause of peripheral neuropathy is diabetes. Prolonged periods of heightened blood sugar levels can cause damage to your nerves that results in peripheral neuropathy. As a diabetic, you can avoid this condition by always monitoring your blood sugar closely. There are a number of different ways to treat or reduce the symptoms of peripheral neuropathy. Your podiatrist will most likely start off with more conservative treatments like dietary supplements. Studies show that increasing your daily intake of vitamin B-12, which can be found in meat, fish, and fortified cereals, will soothe some of the symptoms. In more severe cases, surgery might be required to repair the nerves. Neuropathy may seem scary at first, but the good news is that it can be very manageable. You will, however, need to update your day-to-day foot care routine. Since neuropathy limits the feeling in your feet, make sure to check your shoes for foreign objects before putting them on. Also, it’s very important to do daily checks of your feet for wounds or sores that might have developed. The most important step to living with neuropathy is to create a strong relationship with your podiatrist. He or she will be able to develop a treatment plan to help you beat the burn of neuropathy. 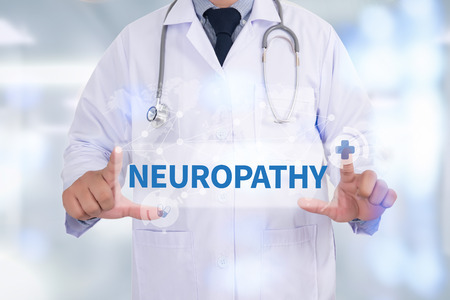 At Westfield Foot and Ankle, our board-certified podiatrist, Dr. David Sullivan, DPM, is ready to help you beat neuropathy today. Our office is located in Westfield, IN, and conveniently serves Hamilton and Boone County. Make an appointment online or call today at (317) 896-6655.